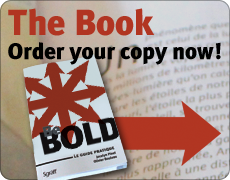 BE BOLD: the how-to book offers 36 exercises to help you develop your boldness, whether it be individual or collective. The guide features twelve analogies related to nature to help you better understand how you operate, explore different ways of thinking about the results you want to achieve and imagine concrete action to get them. Which thoughts should you have to succeed? When and why do you give up? If you had three wishes to make, what would they be? What benefits will this project bring you? 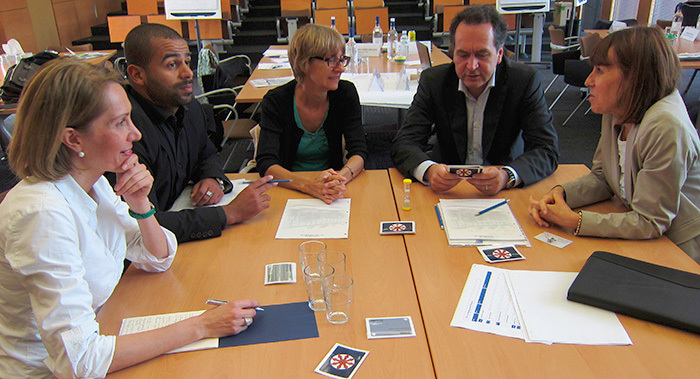 All facilitators of the Be Bold Method have extensive experience working with both individuals and businesses. Because the Method is not a training program but an exercise in reflection and research of solutions, our experts are masters in the art of knowing how to bring forth collective intelligence while respecting individual differences . Their role is to help you fully understand the situation you are working on and quickly create an environment conducive to sharing and exploring possible actions. Why use the BE BOLD Method? You know there are solutions to your situation, but for a variety of reasons, your teams and the people who manage them may lack the boldness to put them into action. We know that business life can sometimes be complicated and complex; power struggles, hierarchy, working in silos or retaining information are just some of the issues with which you must deal. However, the speed at which changes occur no longer gives us the opportunity to give time to time! You must therefore ensure that your troops are mobilized in the same direction and share the same goals to give your project every chance to succeed. The Be Bold Method helps you do that efficiently. Read more: Why use the BE BOLD Method?